the ceremony was at Stockbury church as it bathed in the late spring sunshine. The bridesmaids looked stunning in their red polka dot frocks. A great day was had and Lucy and Mark make a fantastic couple. We wish them all the best for the future. 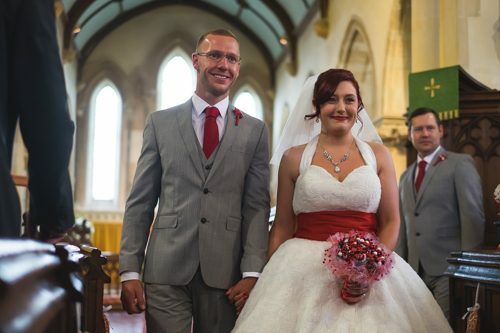 If you’re looking for a Kent Wedding Photographer then please use this page to get in touch.